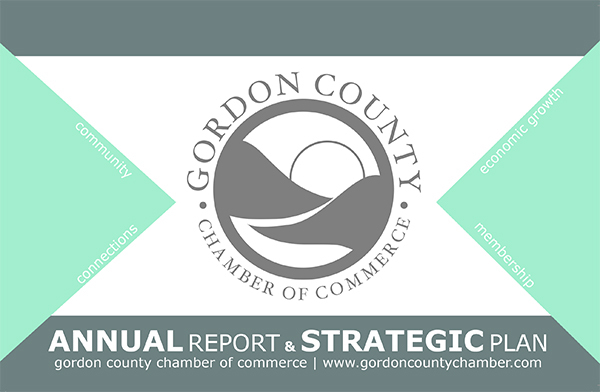 2017 was a big year for the Gordon County Chamber of Commerce, filled with changes that will ripple through the organization for several years. This year started with new mission and purpose statements, redefined committees and programs, and a long-range plan that positions the community for economic prosperity. The new mission and purpose is to connect members and the community to facilitate economic growth. 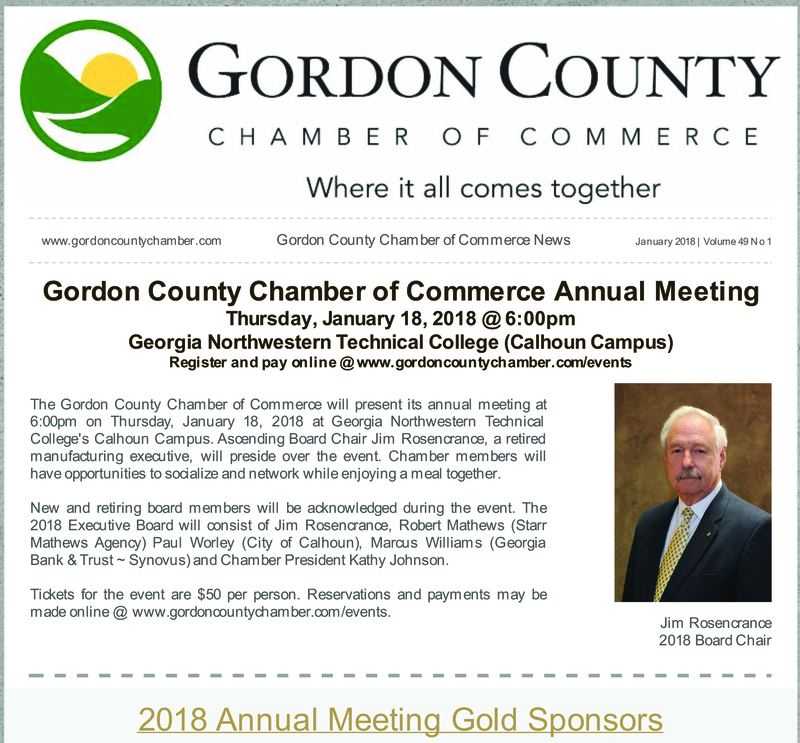 The Chamber staff is excited about the work ahead and hopes you will be one of the first to roll up your sleeves and help us do good work in Calhoun-Gordon County. 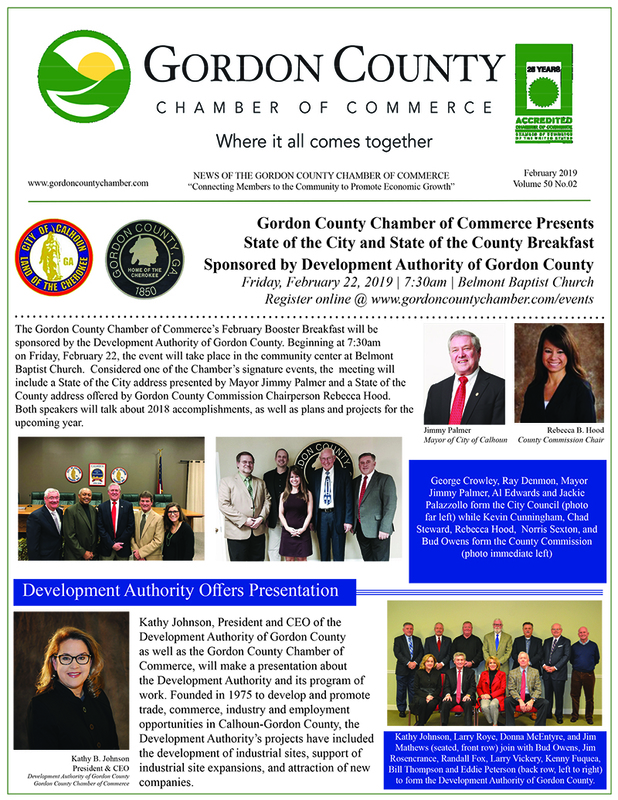 The Gordon County Chamber of Commerce is an essential presence in the business community. Currently boasting more than 400 corporate members, leaders come from a wide variety of business and social sectors. The Chamber has been at 300 South Wall Street since 1986 and it’s more than an address. It’s home. The Association of Chamber of Commerce Executives (ACCE) named the Georgia Chamber the 2016-2017 State Chamber of Year at its annual convention in Nashville. Chamber of the Year is the nation’s only award recognizing the leadership role chambers have in their communities. Those honored with the Chamber of the Year designation have demonstrated organizational strength and made an impact on key community priorities such as education, transportation, business development, and quality of life. This year’s competition drew numerous entries from chambers throughout the United States and Canada.